Are scales important for playing guitar? You bet! They are the cornerstone of a few things you absolutely need to know: such as chords and solos. But you don’t have to be a music theory expert to get this stuff. Start here with the beginner lessons and work your way up – we’ll teach you everything you need to know about scales and modes. This month, we’re continuing a terrific series from long time Guitar Noise contributor Tom Serb concerning just about every scale you could ever think of. In our last post we learned there is only one kind of major scale. 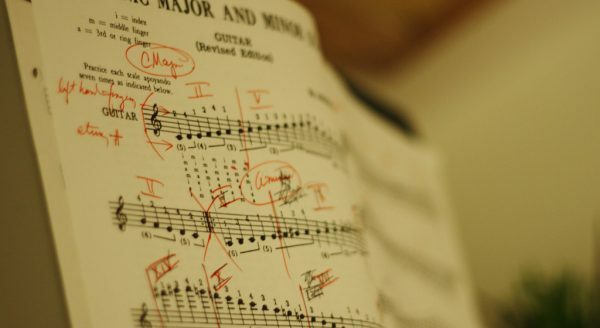 Now let’s look at the minor scale – and there are LOTS of different minor scales! Now we’ll get into the grand-daddy of music theory. The major scale is important to theory because it’s the yardstick by which we measure all other scales. Let’s look at hexatonic scales. Like the blues scale, hexatonic scales are any scales that have six notes.